This project was multi-layered in terms of products we provided to our clients. Showcased below are our stairwell and balcony railing portion of this project. 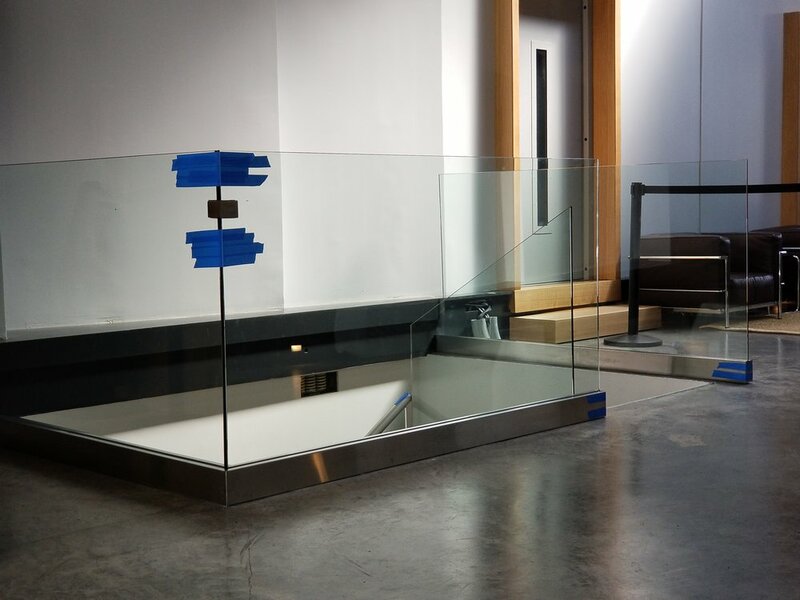 Two systems of glazing were utilized here: CRL Base Shoe with stainless steel cladding adorned the landing area inside the reception area of this sound studio while CRL Base Caps in stainless steel finish rounded off the stairwell. Whether used structurally or as an accent piece, ACSM has the creativity and the trade know-how to achieve most looks in any given condition. More photos to come... Project PM Jason Zerrenner. On this 6-level luxury condominium, ACSM was tasked with installing over 400 lineal feet of glass balcony railing; hardware by CR Laurence ARS 200 Series Railing. With exposures to the NYC skyline and striking views of the Hudson River, this view has a breath taking look from their balconies. 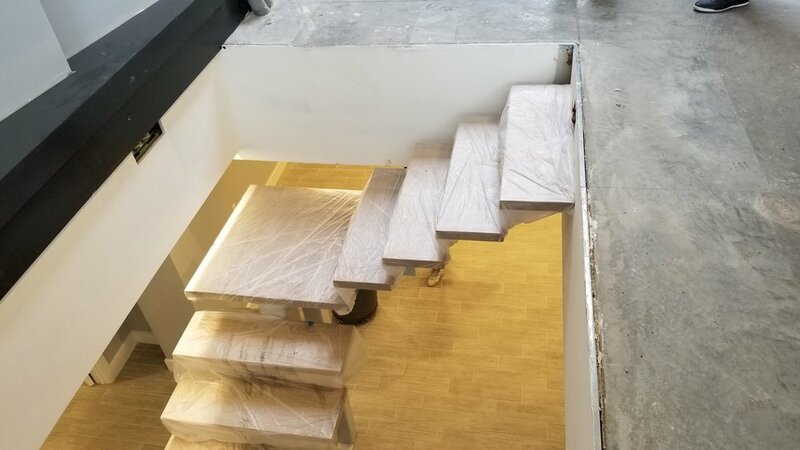 We hope to add to the beauty by installing this rail specifically designed to meet architectural standards and the highest visibility possible. 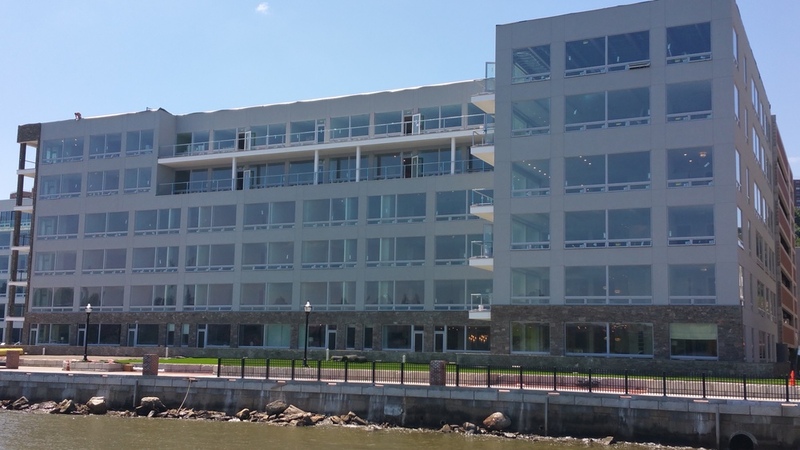 This project was your standard flush glazing installation using clear anodized aluminum framing with 1 inch glazing. Interior work included frameless glass office partitions and windows. ACSM gladly assists new owners of Dunkin Donuts franchises with their storefront and glass needs built with customization in mind. 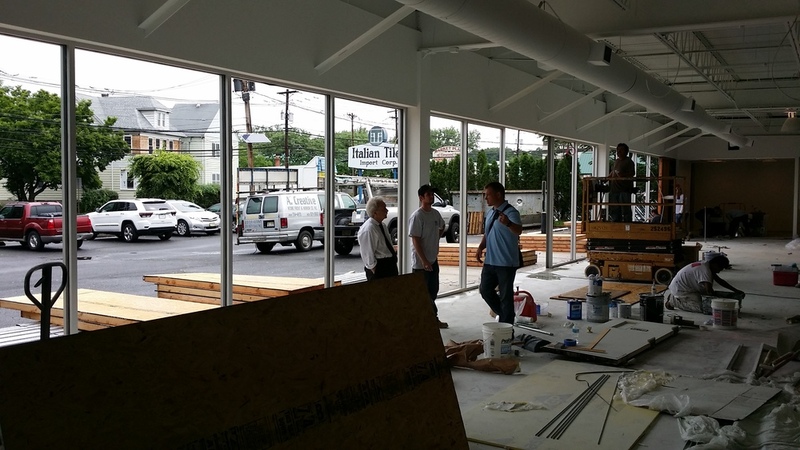 This particular storefront called for 1 inch glazing with anodized aluminum framing. No job starts pretty however, the final product will be sure to drop a few jaws. In wake of the devastation left by super-storm Sandy, one of New Jersey's most hard hit areas along the coast was the beachfront town Sea Bright. Currently, ACSM is giving this area the face-lift it desperately needed. On this project we removed four separate storefronts on this one stretch of block where the ocean and the bay met with flood waters nearing five-feet in depth. We are in the process of replacing the old water-damaged storefront with brand new clear anodized aluminum flush-glazing and entrance doors. The photographs below follow the project as it nears it's completion.